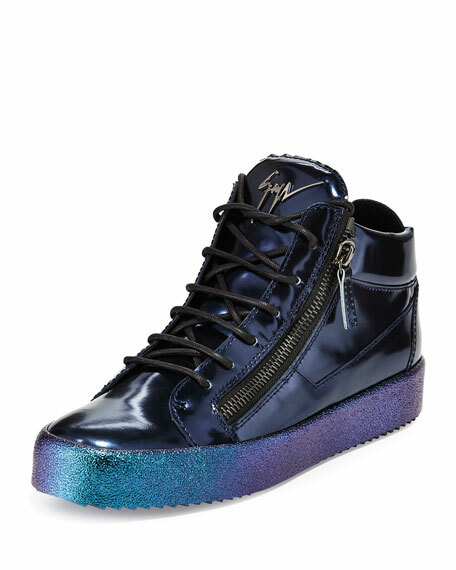 Giuseppe Zanotti mid-top sneaker in mirrored calf leather. For in-store inquiries, use sku #1603080. 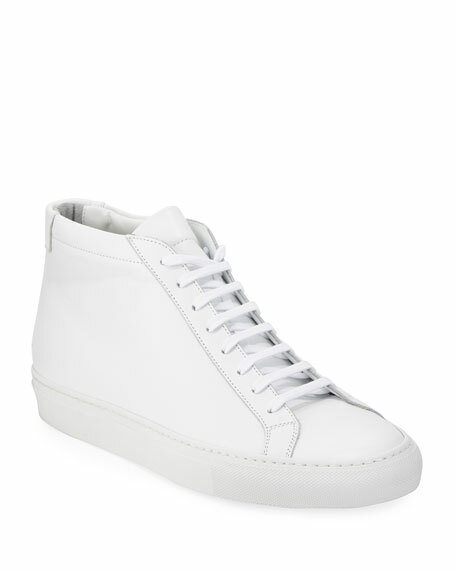 Common Projects mid-top sneaker in napa leather. Round toe. Lace-up front. Padded tongue and collar. Signature golden foil article stamp. Leather lining. 1.3" rubber outsole. "Original Achilles" is made in Italy. 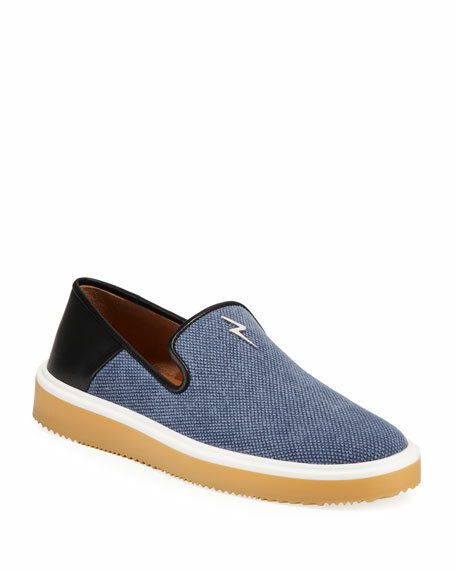 Giuseppe Zanotti canvas and leather slip-on sneaker. 1" flat heel. Round toe. Metallic logo detail at notched vamp. 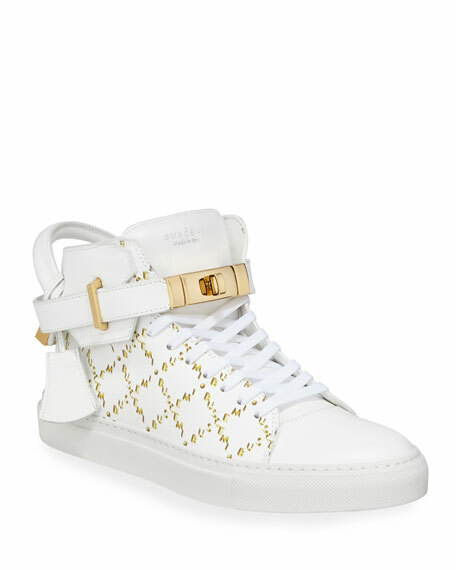 Foldable leather heel panel. Leather lining. Rubber outsole. Made in Italy. 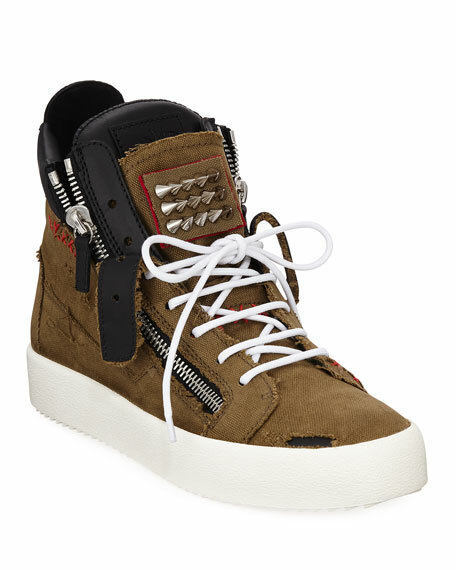 Giuseppe Zanotti mid-top sneaker in distressed canvas and leather. Platform heel. Round toe. Lace-up vamp. Dual-side zip details. Studded detail at tongue. 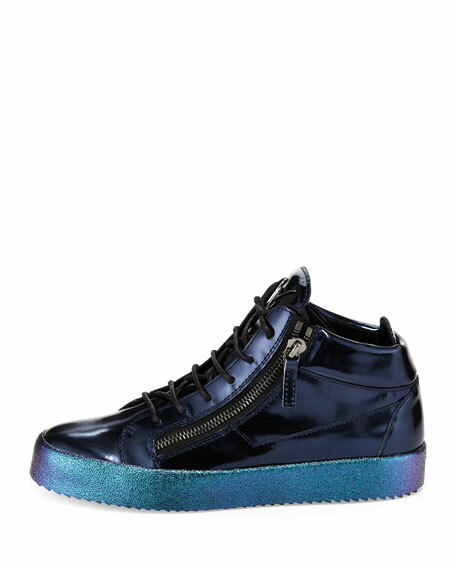 Calf leather lining. 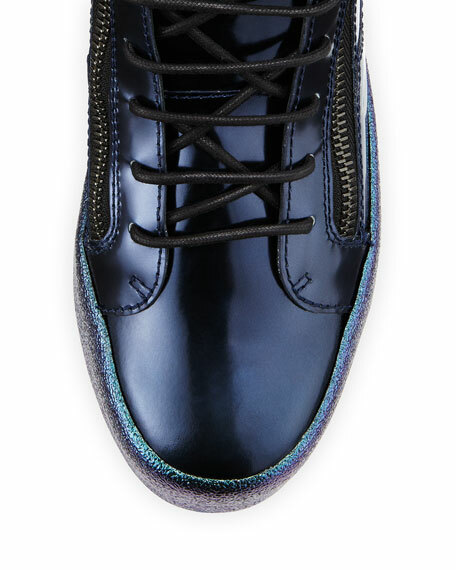 Rubber tread outsole. Made in Italy.